Update: On June 1, 2016, Bank of Montreal, Scotiabank and TD Bank made Apple Pay available for customers using Visa, Mastercard or Interac Debit. Update: On May 10, 2016, Apple expanded the options available for Canadian users of its mobile wallet. Apple Pay is now available to Interac Debit, Visa and MasterCard users (Apple Pay for American Express cardholders arrived in Canada in November 2015). The Royal Bank of Canada and the Canadian Imperial Bank of Commerce have signed on and it's expected that Canada's other three big banks will follow in the coming months. This expansion makes it easy for businesses to accept contactless payments. Tap-and-pay transactions make up 25% of the transactions Moneris processes today. "We are ready to educate, enable and support merchants to accept Apple Pay," said Rob Cameron, Chief Product and Marketing Officer. Apple Pay could be a bigger success in Canada than it was in the United States. How do I know? You have to look at how Apple launched its mobile payments and digital wallet in the U.S.
Apple did a lot right when it launched Apple Pay, which lets people pay for purchases using compatible iPhones, iPads or Apple Watches. They got commitments from major U.S. banks — Citi, Bank of America — and retailers like McDonald’s and Walgreens. They created fingerprint technology to authenticate payments and address security concerns. But due to an outdated technology issue in the U.S., Apple Pay isn't as widely available as other payment methods. 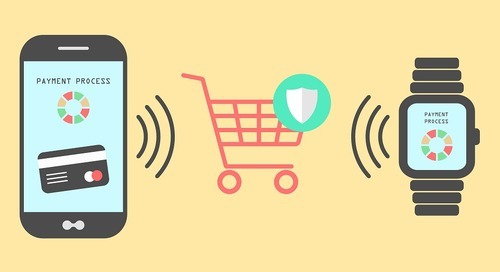 For Apple Pay to work, a merchant needs a payment terminal with EMV (also known as Chip & Pin), a security standard necessary for contactless payments. EMV protects consumer data and helps reduce business liability for fraudulent transactions. 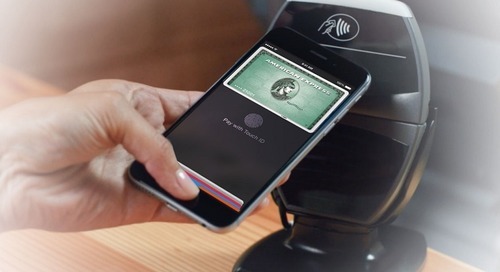 Apple Pay uses the same authentication as any chip card that can use tap-to-pay technology. That makes it a very easy-to-adopt payment method. But in the U.S., the percentage of retailers with the ability to accept contactless payments was less than 2 per cent. Until more U.S. merchants upgrade to EMV contactless, consumers will have fewer places to use Apple Pay. Canada has had EMV since 2010. Twenty per cent of all the transactions in Canada are contactless and the number is growing. About 85 per cent of Moneris terminals in Canada can accept contactless payments using credit or debit cards, mobile wallets and, eventually, Apple Pay. That’s what makes Canada fertile ground for Apple Pay. 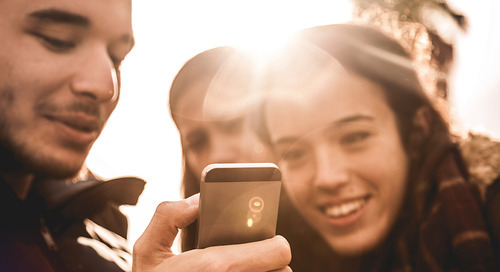 Consumers need to know more than what a new technology does. They need to know how it will make their life better. Contactless payments are more convenient than cash. It saves time at the checkout aisle and it’s safe. That benefits merchants and consumers. 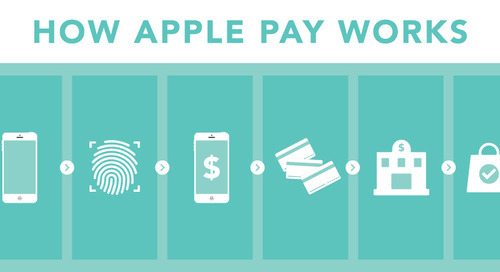 What mobile wallets like Apple Pay introduce is a simple, seamless way to pay. Now, what else is it about Canada that makes me believe that Apple Pay could be a success here? Canadians love their iPhones. More than nine million Canadians already use an iOS wireless device and I’m one of them. I can’t wait to upgrade to the iPhone 6S and I have an Apple Watch, which makes using Apple Pay easier. To recap, we have contactless technology available at major retailers. Contactless payments are growing in popularity and we have plenty of iPhone users. What could go wrong? One or more of Canada’s six major banks could not sign on with Apple Pay. Canadians also love debit and Interac will need to be part of Apple Pay in Canada for it to be a success. The absence of Interac or any bank could deter widespread adoption. Considering what Apple achieved in the U.S., I’m optimistic. Canada is a sophisticated market. But if Apple does things right, Apple Pay could flourish in Canada. The payment process with Apple Pay and Credit Cards may seem very different, but the end goal is the same. 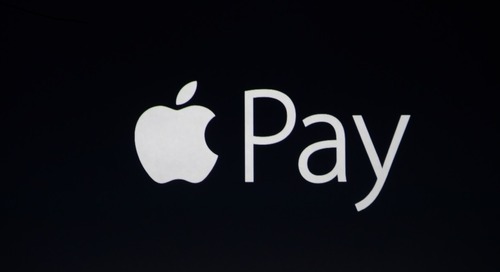 But with Apple Pay, there is an extra measure of security – TouchID. Apple Pay will give customers a simple, seamless way to make contactless payments with the device they love. But what do business owners need to know to get ready? American Express cardholders are now able to pay for their purchases in Canada using their iPhone or Apple Watch. 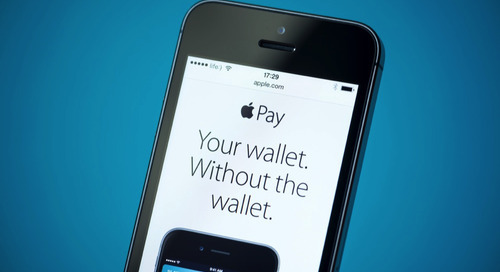 Find out what retailers and customers need to do to be Apple Pay Ready. Canada’s retailers wonder whether the benefits will outweigh the hassle of accepting another payment method. 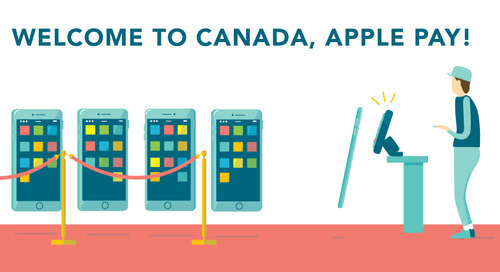 Here are 6 reasons Canadian merchants and Apple Pay mobile payments are a great fit. Retailers in Canada can accept Apple Pay. 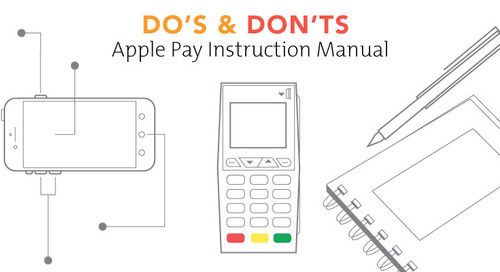 Make sure you and your cashiers understand how Apple Pay works. Check out this FREE training manual. What does the increase in smartphone use mean for merchants? It means customers want to pay their way. 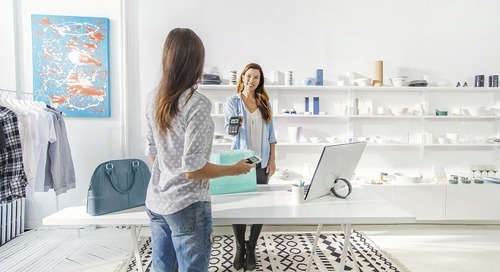 See what Apple Pay could mean for your business. Accepting Apple Pay, a form of contactless payment, can make payments faster and more convenient for customers. Here are the top 3 things you need to know about Apple Pay in Canada.